Online Aptitude test is useful to check problem solving, analytical, decision making ability of the individual. 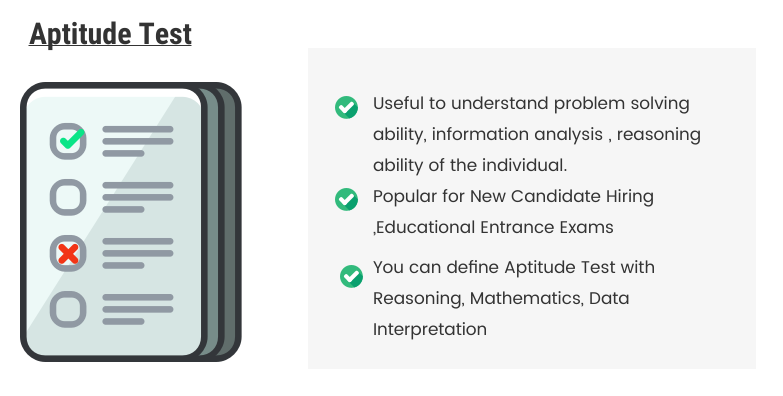 Many organizations are conducting aptitude test using Eklavvya platform to understand problem solving quotient of the prospective employee. It is useful to know nature of the person before hiring. Many organizations are relying on personality tests to know candidates. Face to face interview may not reveal all the facts of personality so standard assessment process can help organizations to take right decision about hiring particular candidate. Success for each competitive exam depends on preparation for each topic and practicing mock exams. If you are running coaching institute and want to digitize your examination process then Eklavvya is right platform for you. It is possible to define assessment for each chapter/ topic/ subject/ sub topic. Students who are enrolled for the mock test series can appear for each exam. 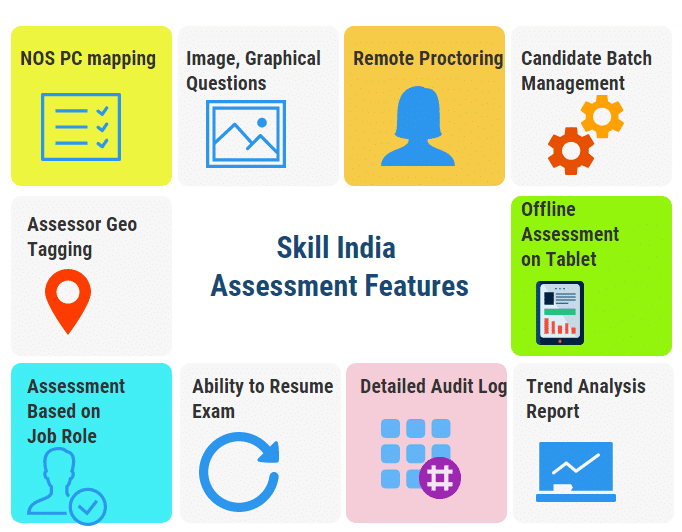 Eklavvya supports features required for skill assessment and Training. If you wish to conduct assessment for specific skill domain then we have technology and features to implement it. Student selection during admission process is one of the key tasks for the education institutes and universities. Collecting student applications, issuing exam hall tickets, managing online entrance exam process and result processing are some of the key tasks to be managed. Useful to conduct exams where candidate is supposed to type answers for theory based questions. 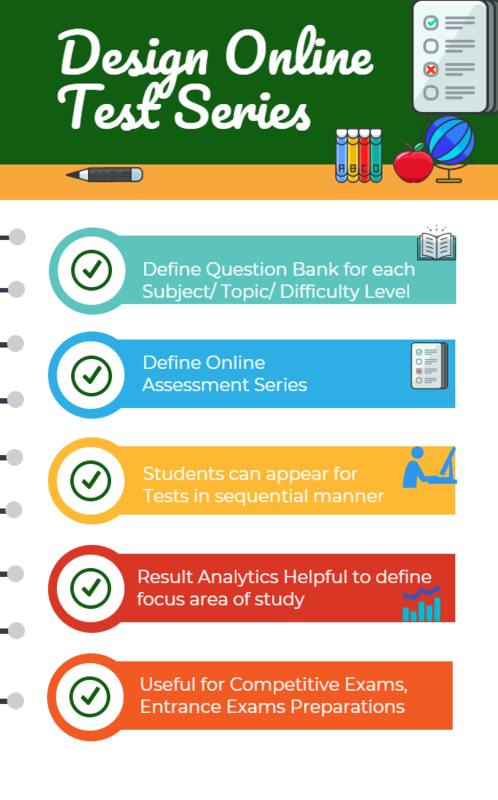 Our platform supports theory based exams with answer checking facility available for examiner.